So, you have completed your rehabilitation program for a substance addiction, and you’re ready to embrace sobriety out in the big, wide world. Don’t be alarmed if you’re scared at first—or even if you’re still scared months later. You’ve got a long road ahead of you, but it is incomparably worth all of the effort to enjoy a healthier, clearer and fuller life. If you’ve just finished your rehabilitation program and you’re heading back into the real world, you may be wondering what’s next. In order to help you succeed and make the most of your newfound sobriety, consider the following suggestions to figure out what to do after rehab. It won’t take you long to recognize who will be supportive of your journey, and who will be more harmful than helpful. There is no problem with shrinking your social circle when cravings may be high; the right people will remind you of how far you’ve come, and work diligently to keep any potential triggers far from your senses. Even if you feel like you’ve got total control of your temptations, that doesn’t mean you should stop going to follow-ups or meetings. These systems are in place for a reason, and you may regret cancelling them after the fact. Follow-ups are ideal for all kinds of things, including goal-setting, talking through problems unconnected to substance and strengthening present skills. There is no reason to feel like you’re not progressing just because you are still attending meetings; these are smart toold to keep you on track. Sobriety is a long journey, and each day should be filled with little achievements and celebrations to keep you focused. Of course, instead of celebrating with drinks or drugs, you’ll be having small celebrations like going for a hike or trying out the bakery down the street. Surprisingly, there are all kinds of rewarding ways to treat yourself that have nothing to do with substance use. Meet a friend for an art class or plant something you love in your garden—the options are endless to celebrate your ongoing sobriety. Posted on April 21, 2018 | by Addiction Rehab Vancouver | Leave a Comment on What are the Signs of Inhalant Abuse? Substance abuse is a continuous and serious problem for Canadians. 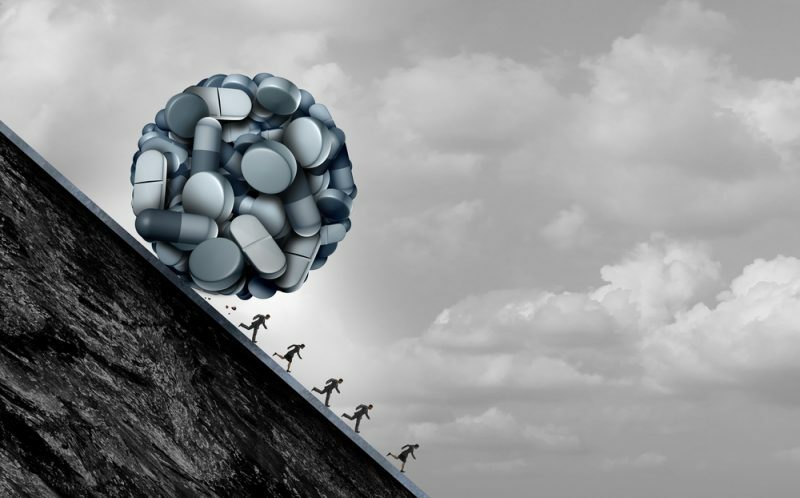 Many people are dealing with substance dependencies all over the country, and as a result, many people are directly affected by their struggles. Whether you’re a friend, family member or acquaintance of an individual who has experienced substance addiction, you’d be surprised how helpful or harmful even the simplest of actions can be. It is important not to assume that you know everything about substance abuse, or what a specific individual has experienced during their journey to recovery. Educating yourself might mean learning what kinds of things can cause addiction and what certain drugs can do to the body. It can also be very helpful to ask about the personal experience of the recovering addict you know. Try to point out that you only want to educate yourself about the topic so that you may genuinely be able to help them more efficiently. It is never right to be negative towards others; we should always be supporting one another. Hearing positive reinforcement and support is one of the best ways to help a recovering addict, because it helps to keep them in a healthy mental state. That means offering positive reinforcement, supporting their goals and offering to help them along the way. If you still want a recovering addict to be a part of your life, then it is ideal to remove any triggers from the surroundings when they’re around. That means keeping substances out of your home when they’re with you, and considering all of the places you’re taking them. Avoid bars and clubs, and instead try a new activity together like hiking or curling. Removing recovering addicts from potential trigger situations is a great way to keep them on their new path. If you don’t know what places and things set them off, ask them so that you can be prepared. Recovering addicts often find that staying busy keeps their mind off of wanting to relapse. If this is the case, consider taking them out to try some new things. It can be anything: Sports games, painting, picnics, etc. Trying new things will show them all of the great opportunities they were missing out on before, and they may even begin to enjoy their new activities more frequently. This is also a great way to help them meet new crowds of people, and to move away from previous people or places that had a bad influence on them. Always be willing to listen to a friend or family member who is a recovering addict. Even if they don’t make it known, some people really need someone to talk to. Keep in mind, actively listening won’t just mean hearing what they have to say; get rid of distractions and communicate with them by both listening and offering your own sound advice. Addiction recovery is much easier for individuals who have a sound support system of family and friends. If you want to help someone on their journey to sobriety, consider these ways to help a recovering addict. If you notice the individual struggling, suggest that they join a support group, or volunteer to go with them for support. Stress affects us all; however, what is different for each of us, is the ways our bodies react to it, and how we respond to it. For some people, stressful situations might be easily-managed. For others, however, stress can be a very debilitating emotion. Individuals who are recovering from an addiction often have a hard time managing stress, because they no longer have the outlet they used to rely on. Without the option to drink or abuse substances, finding a healthy balance is a bit trickier. Fortunately, there are lots of ways a recovering addict can reduce stress without the need to use again. The following options offer alternative options that are healthier and much more efficient. This is especially important for the first few months after recovery, when the potential for relapse is much stronger. Create a schedule that requires you to accomplish a few things a day, but no more. Having too much free time might cause a user to spend a lot of time thinking about using; on the other hand, doing too much can also cause some unnecessary stress. Have two or three events planned for each day, to stay busy but organized. Even before you head home after recovery you might request that someone removes any potential triggers from your environment. Even if triggers don’t cause an addict to use again, it may increase their levels of stress. This also means avoiding any people or places that encouraged using before. Other triggers that might cause stress can be everyday life factors, such as old relationships, traffic or unfinished work. Recognize things that need to get done or lifestyle changes that need to be made, and slowly tick them off your list to avoid unnecessary stress. Slow-moving, relaxing activities are a great way to focus on the present and bring stress levels down. Activities such as yoga and meditation are great for finding balance amongst our busy lives, and they can be practices at home or amongst others in a class. Maintaining a stress-free attitude isn’t just about mental health—it is physical, too. One of the ways a recovering addict can reduce stress is by taking good care of their body by taking part in daily physical activity and practicing a healthy diet. Exercise is said to increase our endorphins, resulting in a more positive mindset. Eating healthy can also make us feel better, assuming that we ingest a healthy number of minerals, vitamins and whole foods that help our bodies perform at their best. One great stress reliever for recovering addicts is to talk out their worries and concerns. It doesn’t matter if this means finding a trustworthy friend/family member, or taking part in weekly support meetings; being verbal about things that are stressful is a great way to get them off of your chest. Without sleep, our bodies quickly become run down and much less efficient. Trying to get through the day without enough energy can often be stressful in itself; add to this being late for work or forgetting your lunch and a relaxing day just became stressful. 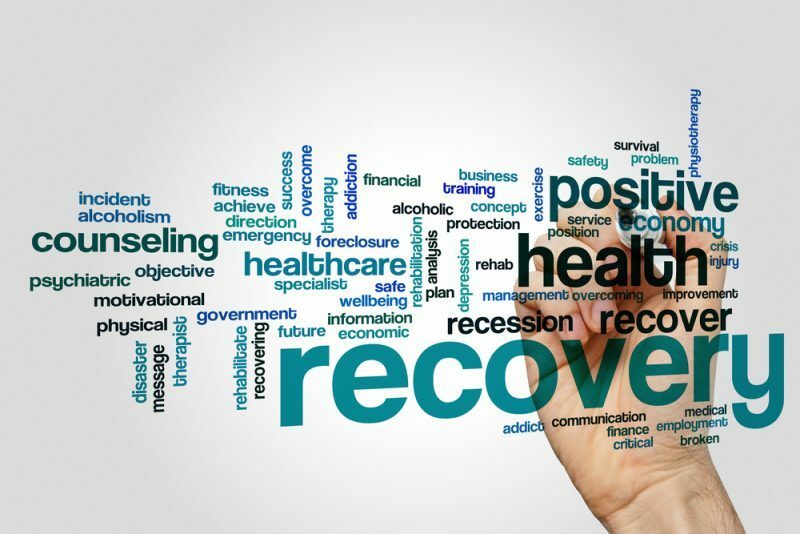 There are lots of ways a recovering addict can reduce stress; it is merely a case of finding which suggestions work best for each individual. A combination of these tips may be ideal, in order to help an addict experience a calmer, more enjoyable recovery. When an addict returns from their rehabilitation treatment, this doesn’t mean that they’re automatically cured. In fact, the recovery process of an addict is a life-long journey that requires the daily decision to avoid temptation and embrace a healthier lifestyle. For those who are living with an individual who is recovering, they will know that addiction doesn’t just affect the addict. Addiction touches many people close to a suffering addict, and when the time comes for recovery, loved ones can have a huge impact on their success or failure. If you are living in the same home as a recovering addict, you will be exposed to the ups and downs of their journey much more than others. Fortunately, there are ways that you can be an asset to their recovery, while still maintaining your own health and that of your families. The following are some of the best tips for living with a recovering addict, including some of the typical challenges you’ll face and how to deal with them. Of all of the tips for living with a recovering addict, this is one of the most important. Lack of preparation before welcoming a recovering addict home can spell disaster, so learning what you can is necessary. If you can, take some initiative before your loved one comes home. Research the types of behaviors and attitudes you can expect from a recovering addict, and the best ways to support them. This is important for partners as well as children, siblings, parents, etc. It is ideal if a family can ban together to make sure everyone is doing their part to help the process. As mentioned, addiction can hurt more than just the addict. Families and friends often battle immensely with the struggles of a loved one, which may mean some relationship issues in the home during recovery. Consider taking part in some family counseling. This type of program will allow any family members to express how they’re feeling, and help them come to resolutions about how to handle this new situation. Even if the other individuals living in your home have no issue with substance abuse, it is important that a recovering addict’s home is free of triggers and temptations. This means getting rid of all drugs and alcohol in the home, or any other item that may stir up cravings. It may even be necessary for family or friends to embrace a new lifestyle that is free of substance-use; or to at least practice self-discipline when they’re at home. 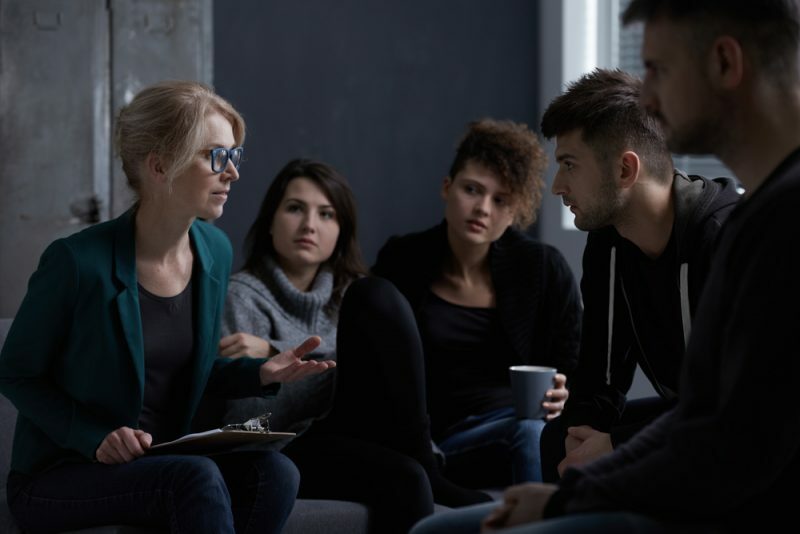 It is very helpful for a recovering addict to attend consistent meetings post-rehabilitation; therapy programs offer support and guidance during this difficult time that can be attended by both the addict and their family. This not only shows support for the individual, but also helps to keep family/friends in the loop about how the individual is doing. It’s no secret that substance abuse can have all kinds of negative effects on the body. 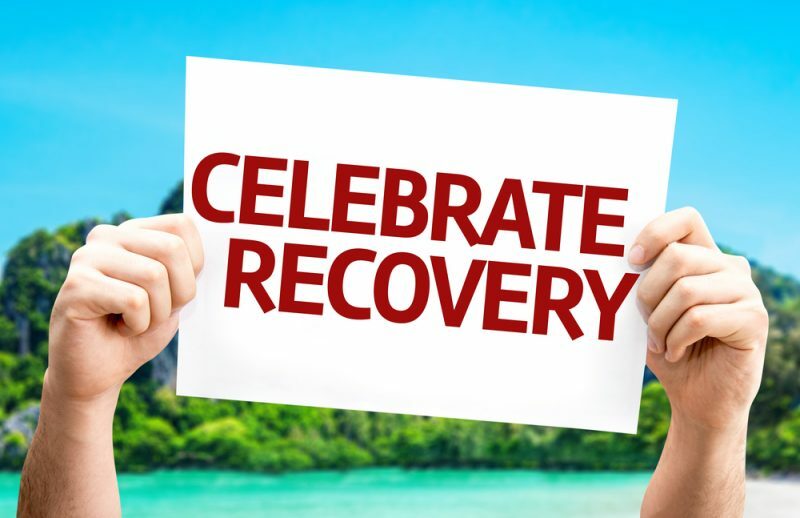 If you can, encourage the recovering addict to attend consistent doctor visits during the early stages of their recovery to ensure that everything is healing properly and that there are no areas to worry about. At the end of the day, every individual is going to make their own decisions post-rehabilitation. Fortunately, a support system that genuinely wants to help can make a huge different in the eyes of an addict, so it’s important to do your best to offer a helping hand. Consider these tips for living with a recovering addict, to ensure that you’re doing all you can to make their home space the ideal place for recovery.